Republicans Join In Condemning Trump's Use Of Expletive To Describe Africa : The Two-Way Calling Africa a "s***hole" and questioning why the U.S. would want immigrants from such places as Haiti and El Salvador has drawn the ire of politicians, leaders and average people the world over. President Donald Trump listens during a meeting with lawmakers on immigration policy in the Cabinet Room of the White House on Tuesday, where he reportedly made the controversial remarks. Lawmakers from both parties joined opinion leaders around the world in condemning remarks made by President Trump during a meeting earlier this week on immigration, in which he referred to "shithole countries" in Africa and questioned why the U.S. would want to accept immigrants from countries such as Haiti and El Salvador. The comments came out of a closed-door meeting at the White House on Thursday and were first reported by The Washington Post. Utah Republican Rep. Mia Love, whose family came from Haiti, called the president's comments "unkind, divisive [and] elitist." They "fly in the face of our nation's values. This behavior is unacceptable from the leader of our nation," she said. Fellow Utahan, Sen. Orrin Hatch, a staunch Trump ally, said: "I look forward to getting a more detailed explanation regarding the President's comments. Part of what makes America so special is that we welcome the best and brightest in the world, regardless of their country of origin." Chairman of the Congressional Black Caucus, Rep. Cedric Richmond, D-La., said the president's remarks "are yet another confirmation of his racially insensitive and ignorant views." "[The] President's slogan Make America Great Again is really code for Make America White Again," Richmond said. The NAACP in a statement referred to the remarks as "a low point for our nation." Haiti's ambassador to the United States, Paul Alidor, said he had asked for an official explanation of the comments. "In the spirit of the people of Haiti we feel in the statements, if they were made, the president was either misinformed or miseducated about Haiti and its people," he said in a statement. Former British Foreign Secretary David Miliband accused the Trump administration of "leading a race to the bottom." And, former Mexican President Vincente Fox also had some choice words for Trump on Twitter. On his program Thursday, CNN's Anderson Cooper talked about his experience reporting from Haiti, including a devastating 2010 earthquake. "Let me be clear tonight: the people of Haiti have been through more ... they've withstood more, they fought back against more injustice than our president ever has," Cooper said. Republican strategist and consultant Frank Luntz tweeted: "43% of immigrants from ['shithole'] African countries have a bachelor's degree or higher, compared to 33% of the overall American population. Nigerian-Americans, for instance, have a median household income well above the American average." South African Broadcasting Corporation anchor Leanne Manas also took to Twitter: "Good morning from the greatest most beautiful 'shithole country' in the world!!!" 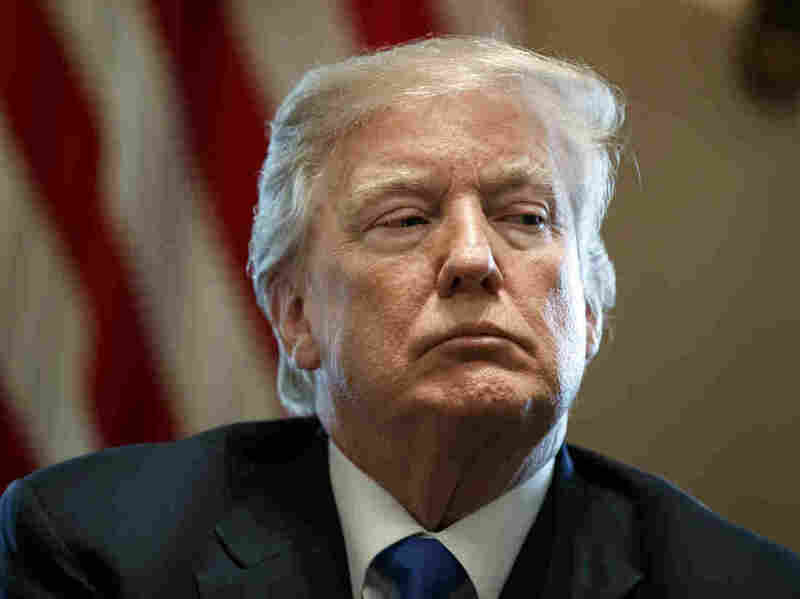 Kenyan politician Boniface Mwangi wondered aloud in a tweet "how America elected a narcissist, racist, [and] white supremacist to be their president ..."
African Union spokesman Ebba Kalondo tells the AP that the regional body is "frankly alarmed," at the president's remarks. "Given the historical reality of how many Africans arrived in the United States as slaves, this statement flies in the face of all accepted behavior and practice," Kalondo says. "This is particularly surprising as the United States of America remains a global example of how migration gave birth to a nation built on strong values of diversity and opportunity." However, not everyone condemned the president's remarks. Conservative commentator Ann Coulter, who has alternated between strong support and occasional critic of the president, said with Trump's comments, "He's trying to win me back."